Motorhome is a great solution for people, who love travels and the sense of independence. It’s not only a fashion for cheap travelling but also a lifestyle and a way to explore the world without being worried about booking an accommodation. But if you want to be fully satisfied you should adapt the motorhome to your needs. Because of fashion for this kind of travelling the selection of the equipment is bigger and bigger. You can either buy, or rent it in many places in the whole Europe. The interior is adapted to transport passengers as well as travelling with a bigger amount of luggage. It provides both a place for sleep, as well as a place where you can make a dish. Motorhome equipment includes a gas cooker, fridge, sink, small bathroom and living space. You only need driving license category B, because the GVW does not exceed 3,5 tons. We more and more often see smaller motorhomes, which were designed on the model of appropriately adapted, mass-produced common vans. 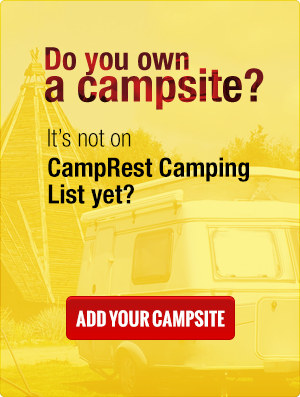 We can divide them into two types, camper-vans produced by professional companies which deal with the production of motorhomes, and those produced at homes by their owners. A van most often remade, is a van all of us know - the VW T1, so-called "cucumber". Simple modifications allowed to adapt this vehicle for two people, who can travel and sleep in it. Other, but larger vehicles, are for example Mercedes Sprinter, Fiat Ducato, Peugeot Boxer and Ford Transit, and they also uderwent reworking. The advantage of such vehicles, apart from lower fuel consumption and higher speed development, is the ability to access places, which cannot be accessed by larger campers because of their size and also the ability to make overnight stops in places, where stadard campers are not allowed to. The disadvantage, however, is less space for baggage, sleeping and relaxing, but when we travel only in two, it should be enough. Alcove motorhomes are most commonly seen on European roads. It’s a kind of camper, where the additional sleeping space is located above the driver’s cab. This superstructure is called ‘alcove’ and it comprises sleeping accommodation for 2 people. Below this additional bedroom there’s of course a living space with its basic equipment. Alcoves popularity is determined by their attractive prices and lot of sleeping places. This type of camper can fit in up to 7 people. In the day, alcove can serve as a luggage storage. Wide and comfortable bed provides the comfort of sleeping and resting, which is very important when travelling. Another advantage of this type of vehicle is its small size, which makes manoeuvering easier. No wonder why alcoves have so many enthusiasts. Nonetheless, there also people, who find this kind of solution a bit disadvantageous. The major drawback is the higher fuel consumption and discomfort of sleep. Another flaw is surprisingly using the alcove as a storage, which makes the motorhome heavier. This factor strongly affect the quality of driving. Campers are also available in semi-integrated version. There, the living space is partially integrated with the cab. The cab is produced in series, and the living space slightly extends beyond the outline. There’s no alcove above the driver's cab, which might been used as a storage, and a small sleeping space may seem a bit problematic. Nonetheless, lower fuel consumption and possibility to develop a higher speed fully compensate for that. The overall height of semi-integral camper is lower than the alcove camper, which facilitates driving under bridges and tunnels. The most luxurious solution are integrated campers. Here the body is connected with the cab, and the whole makes up a solid structure. Their biggest advantage is increased aerodynamics and the possibility of introducing innovative solutions by the producers. This applies both to the living space and the driver’s cab. These campers are created by producers from scratch, which gives them an advantage over semi-integrated campers and alcoves. Many of the producers put an emphasis on individual preferences of their clients. Lets take for example Niesmann + Bischoff, which is known for campers of the highest class. The biggest advantage, when it comes to integrated campers, is the highest exploitation of space and great comfort. The downside of this solution is higher price, and a higher base curb weight, which decreases loading capacity. There’s a solution even for those, who value unbeaten tracks and hard conditions of travelling – it’s a pick-up, with an open top and rear cargo area. This solution gives you a bed, a roof under your head, a bathroom and a kitchen annex. There are two types of building – folding, and with a stiff building, which doesn’t recquire any any work before go to sleep. The following pictures show aforementioned solutions. Campers produced in the USA constitue a separate class and type of motorhomes. Like everything else in America - they are really huge and primarily designed to increase the comfort and facilitate the usage in every way. Unfortunately, most of the European campsites are simply too small for them, so in order to enjoy these residences on wheels it’s best to fly to the USA, rent one and see a piece of a different continent. Take a look at the gallery. Camper is a great way for cheap and comfortable travelling, and well-chosen one turns every trip into a nice experience. While choosing the best camper, you to take into account your needs and the approximate number of passengers. The better camper will be fitted to your individual needs, the bigger comfort of traveling. This was a perfect rundown - thanks.